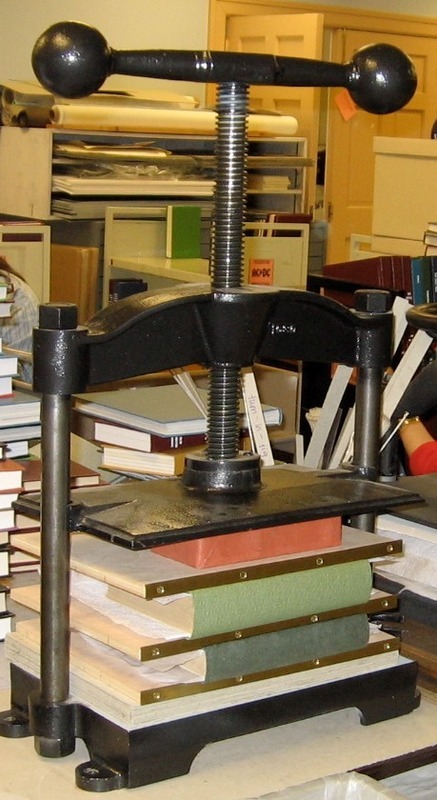 The nipping press applies uniform pressure to books placed between its platens. It compresses text blocks and, with brass-edged boards, forces the formation of shoulders and hinges to give the book its shape. 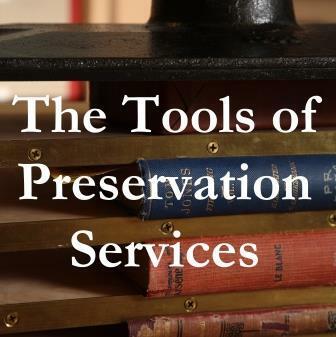 While lower in pressing power than the standing book press, the smaller nipping press accommodates most preservation and conservation tasks requiring the application of pressure. Like the nipping press, a standing press exerts a smooth pressure on items placed between its platens. It compresses and shapes newly crafted books or books that have had their casings or spines repaired. A good press is distinguished by the intensity and evenness of the pressure applied. Note the convenient storage area for brass-edged boards in this press. 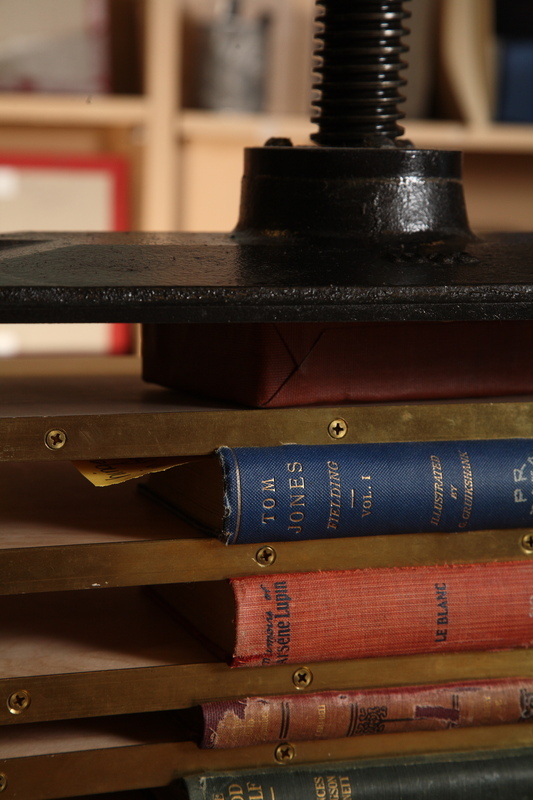 For creating or tightening joints, especially after re-casing or casing-in (when the cover has been applied), a book is placed in a press between brass-edged boards. Because the brass projects out on one side of the edge, forming a lip, these boards impress joints on a covered book smoothly and evenly.